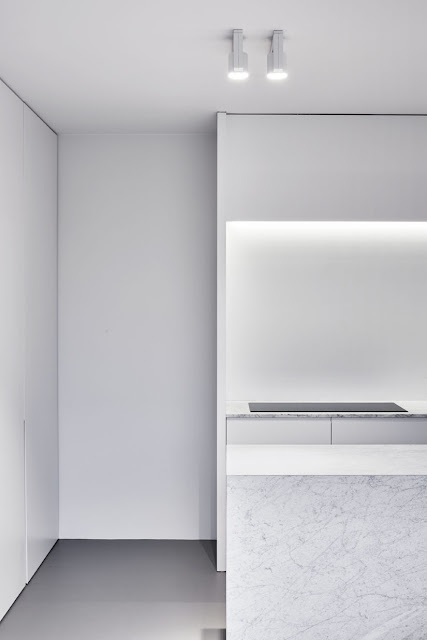 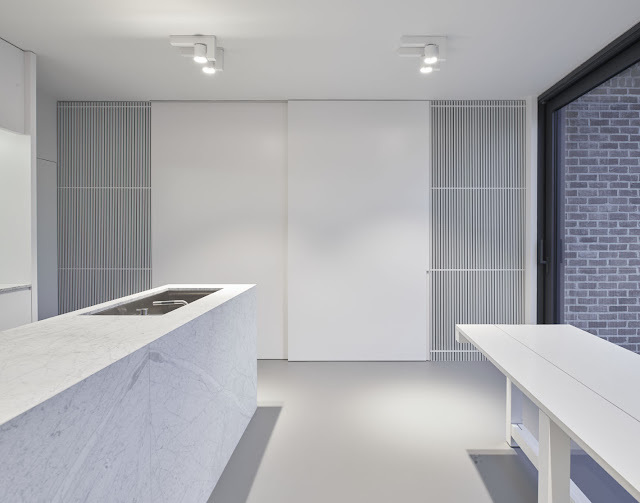 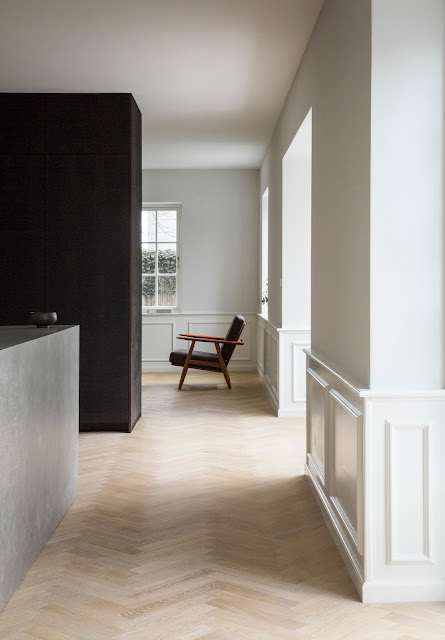 Belgian interior architects and furniture makers of Minus were asked to remodel the kitchen of a classic house in Poperinge, Belgium. 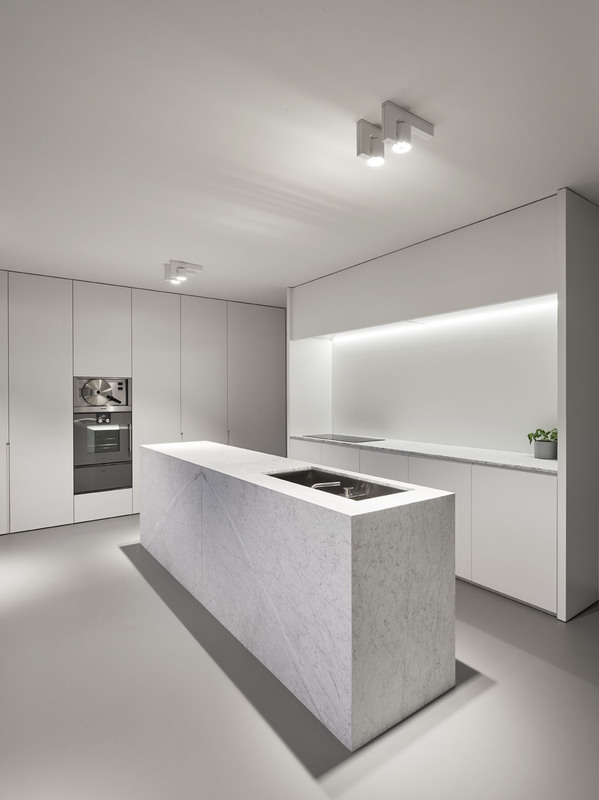 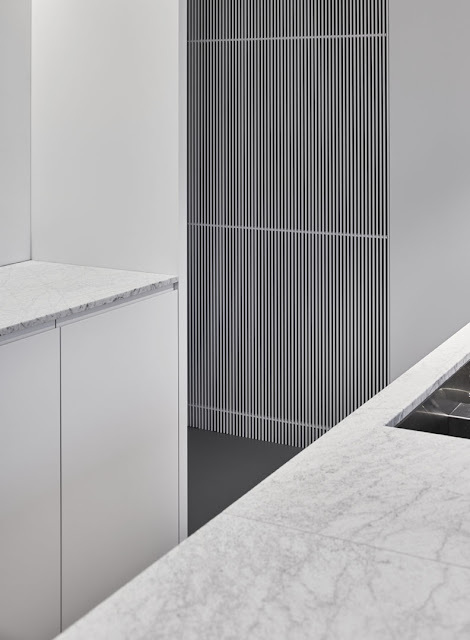 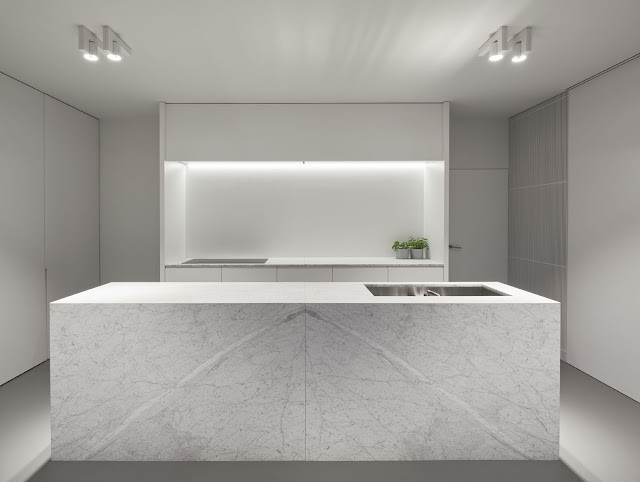 The clean aspect of the resine floor stands in contrast with the richness of the carrarra marble central bloc and worktops. 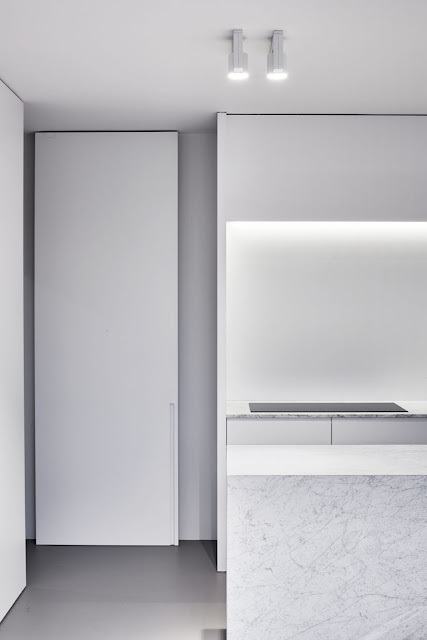 All other walls, doors and storage got the same white laquer finish.